You may have heard that Kim Kardashian recently got engaged to NBA star Kris Humphries. Her ring is beyond gorgeous, but let's talk about that cake! Made by Hansen's Cakes, this Cinderella beauty is a perfect fit for any blushing bride-to-be. 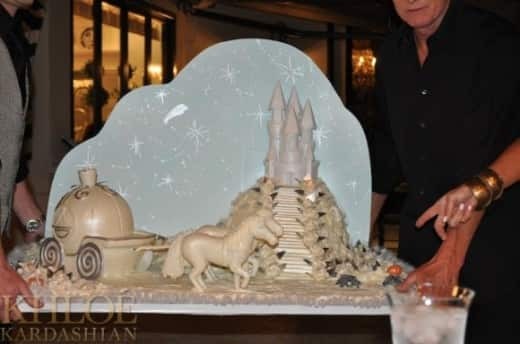 We all know Kim adores the Disney princesses, so I was delighted to see her engagement cake follow true fairy tale form. I bet it tastes just as good as it looks!